MakerBeam is wonderful construction material and accessories will only expand the possibilities. Movement suddenly becomes an option when you add bearings and that is why we were looking for ones to fit MakerBeam. The search for the right size bearings moved up a bit on our list of priorities after meeting the guys behind Ultimaker. 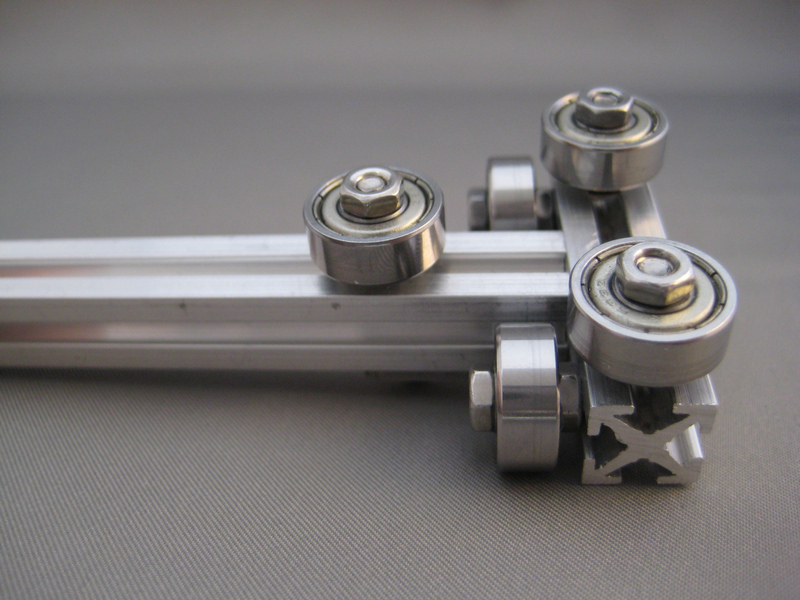 Building a 3d printer with Mini T-profiles now is feasible. 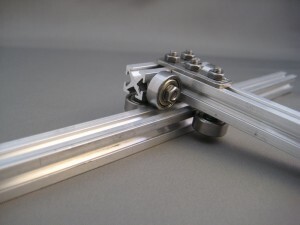 Or maybe someone wants to build their own CNC-machine, just to name another popular possibility. There must be all sorts of projects that can benefit from these little wheels. When you use bearings you will need longer bolts. Also we think self locking bolts will make your construction more rigid. Ideal for the machine of your choice in working mode. We made a small pack with 10 bearings, 15 M3 12mm bolts 15 M3 nuts and 15 M3 self locking nuts for €15,-. We hope you will have fun with our latest addition to our webshop!